Brilliant Story & Well Executed! In a world beset by plagues, Tyrus of Kenatos has made it his life’s work to end the devastation. 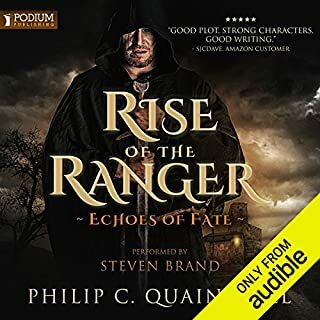 Yet when he first ventures into the Scourgelands to uncover the secret of the plagues’ origin, he barely makes it out alive after being ambushed by a mysterious, unseen enemy. Tyrus knows the plagues will rise again - more powerful than ever before - and he is determined to complete his mission. 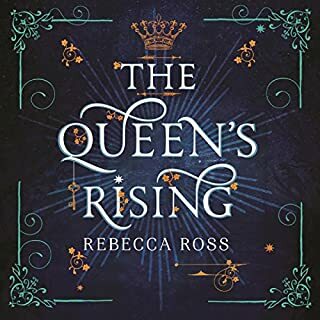 To aid in his new quest, he summons his nephew Annon and his niece Hettie - both of whom possess an innate magic called the fireblood - and a pack of unlikely allies. But as the group sets out on its journey, the ruthless ruler of Kenatos, the Arch-Rike, has other plans - deploying a legion of minions who will stop at nothing to destroy them. 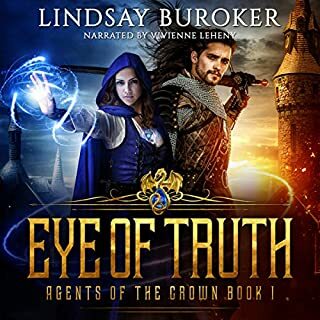 For if they succeed, the truth will be revealed: about a Druidecht secret of a forgotten magical race, a deadly betrayal, and a hidden child who could be the key to banishing the plagues. Slow start, mediocre characters, + cliff hanger. It takes a good while for the story to get going. The author could have developed the characters more given the length of the story. That said, the author did create interesting settings and a good plot. The book would have benefited however from tightening up some of the overview descriptions and incorporating events from the characters' histories and memories. While wheeler is better than most at shifting between plot lines of the disparate groups and individuals, I'm tired of authors using a cliff hanger to get you to buy the next book. I'd rather buy a book in a series because I have come to like the characters and story line. If you don't expect too much you'll be pleased. I have to admit that about half way through the audio book I was ready to quit and move on to something else. 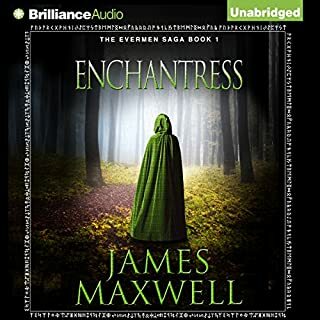 The story felt like it had the depth of a series of short stories and not the rich character development you see in contemporary fantasy epics. That being said I found the second half of the book to be far more enjoyable. 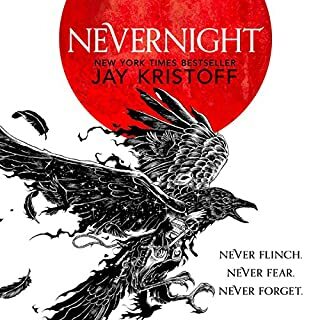 There are lots of fantasy novels I'd recommend before this one but I would say it was a good early attempt by an author who makes his living doing something else. 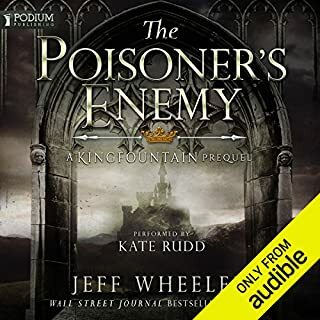 I have great hopes for Jeff Wheeler that as he continues to improve his craft the world / character depth that is the hallmark of fantasy will find its way into his stories. • I found the narrator's performance to be a distraction. He wasn't terrible, just not someone I'd like to hear again if possible. I'm a little spoiled since I've listened to some great narrators so listening to Mr. Page wasn't as enjoyable as it might have been. • Some of the scenes were awkward and could have used more editing. A good story at the core but a few areas could have been improved greatly with more editing. If you're searching for an epic to fall in love with, this isn't the one. If you're looking for a generally good time without high expectations you'll be pleased. Interesting concepts, good story. I believe I will follow this series to the next book. Several main characters and the development of them only increases interest in the book as it develops. 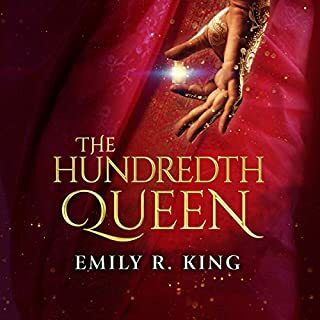 Love a Science Fiction Fantasy that is complete with descriptions of races and their abilities along with descriptions of where those races live. So happy I purchased this! Honestly, I have a very guilty pleasure that is listening to bodice rippers while doing menial tasks around the house. The issue is that I then have to keep my headset on at all times for shame of the shoddy prose I willingly subject myself to, and I long for the freedom that are speakers. Due to this, Jeff Wheeler's books are an awesome treat! 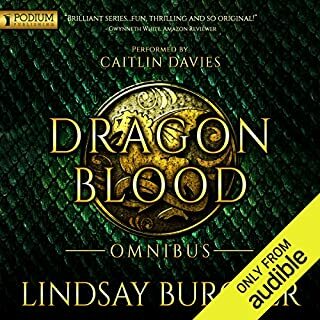 I get to be truly drawn in to an epic story with fabulously constructed worlds and characters, be free of earbuds for a while and still not have to freak out and pause it whenever my little girl enters the room in a way I may have to if I were to be enjoying something along the lines of Game of Thrones. A great start to what I imagine will be an excellent series/trilogy! I wholeheartedly recommend it! Would you listen to Fireblood again? Why? I will definitely listen to Fireblood again. It is a trilogy book 2, Dryad Born came out in February so, of course, I had to go back and read book 1, Fireblood first to refresh my memory. This time, Whispersync for Kindle was only $1.99, so I added it. What a wonderful interpretation of Jeff Wheeler's story. I especially liked to hear the pronunciation of the terms used. I REALLY love the other Jeff Wheeler books. 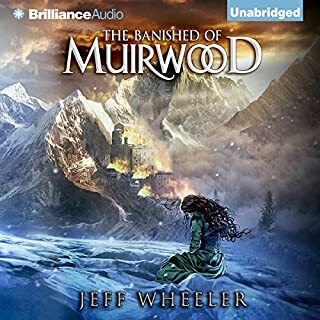 I've read/listened to all of the Kingfountain, Harbinger, Covenant of Muirwood, Legends of Muirwood, etc. series and I was so hoping this would be like those. I'm not sure if it is because I am so used to Kate Rudd reading or if it was the story itself. I struggled to listen at times, things just seemed to drag on and on between the interesting bits. I will listen to book 2 hoping it is better but I've been totally spoiled by all the other books he's written. Fireblood: Good book with a cliffhanger. This was a good book. It took me awhile to really get into it but once I did, I had a hard time putting it down until I finished it. I did have a difficult time keeping the characters straight. I know there are more books in the series so I wasn’t surprised with the cliffhanger. 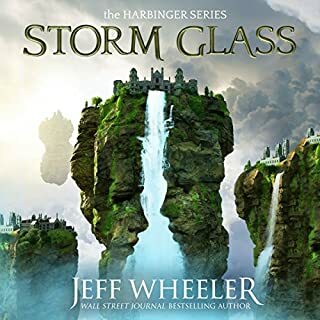 I did like Jeff Wheeler’s other series’ better than this one so far, but I will definitely finish this series and see what is next. I enjoyed the audio version. I didn't think the storytelling was as strong as some of his other works, but it was fun. unfortunately, I find most of the characters unlikable. it's very clearly a Dungeon and Dragons campaign in letter form, complete with magic and monsters and classes and quests. it's fun. if you've read his other stuff it will be weirdly familiar. it took me time to stop trying to figure out if this was part of the Harbinger works because there is so much that is reused. the performance was good, sometimes great. again, I felt some voices didn't sit well with me... but they were all pretty distinct and by the end I could tell a character just from the voice. the pacing and tone is the narrative is excellent. Too much of nothing going on. The author tried to make the characters and their world complex but it ended up feeling disjointed and random. 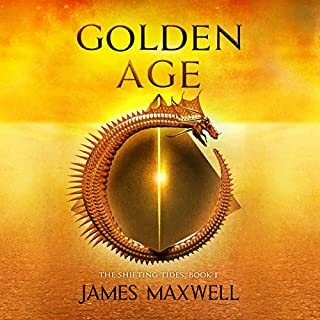 No idea if the story was any good, the narration was so horrible that I won't finish it, perhaps the story style simply doesn't suit Michael Page, I did well by getting up to chapter 20. 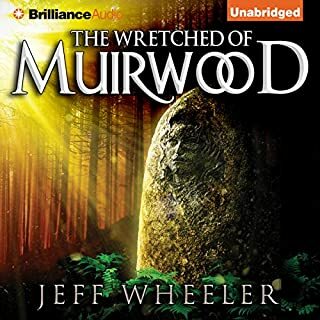 I started listening to this because I LOVED the Muirwood books, they were such a pleasure to hear. 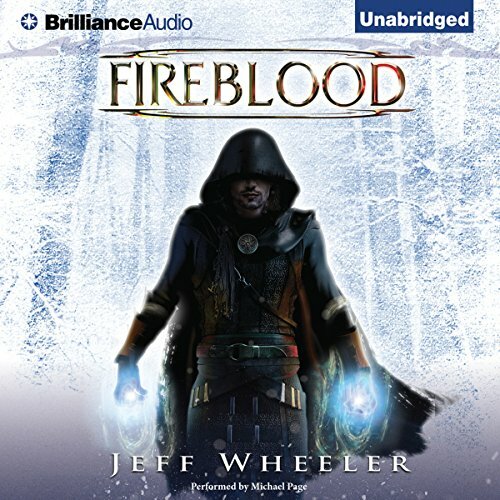 I will see what else is available to listen to by Jeff Wheeler - I'm so glad this wasn't the first book I tried by him, I would have been put off anything else. Perfect narration of a top class story. Looking forward to starting the next novel in the series and hope that the new narrator is up to the task.